Congratulations on your graduation from UNCW! 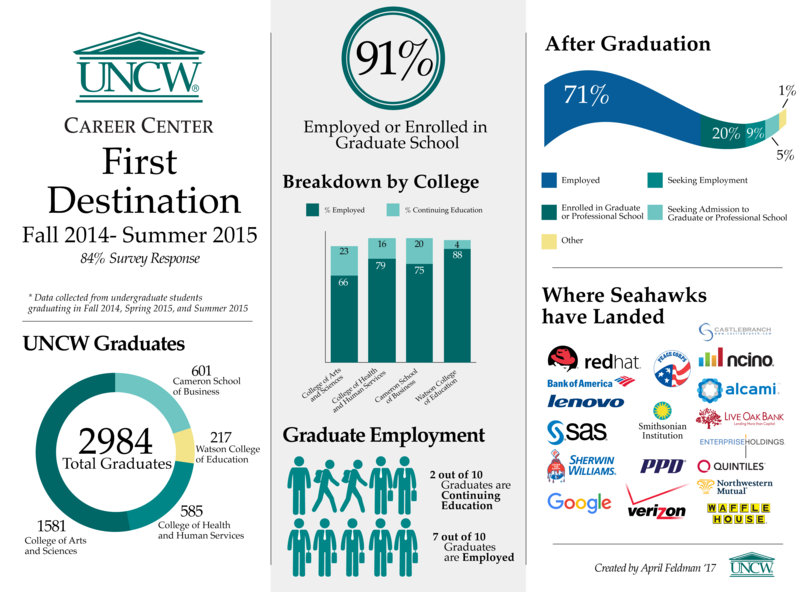 The First Destination Survey focuses on Seahawks’ activities following graduation. These can include all forms of paid employment, enrollment in a graduate or professional school, and others including volunteering, traveling, and freelancing. Information reported in this survey will help current Seahawks see where graduates like YOU go and could inspire them to pursue their career dreams and goals. Of course, data will only be reported by academic major; no personal data is ever listed. Trend data also will be used for university planning, recruiting and admissions, employer development, and our Seahawk community at large. Like some students or alumni, you may have found the professional job search intimidating enough to bypass and are underemployed or unemployed. This is nothing to be ashamed of! The Career Center staff welcomes you to connect with us through the survey or, to get started on a job search customized to YOU and your needs. Connect with us HERE via email and we’ll follow up. You can also follow us on Twitter, Facebook, LinkedIn, Pinterest and Instagram. What's more, all of our resources and services are FREE to you for life! And finally, here is our official Privacy Statement: Your answers are completely confidential. No reports will identify any individual student/alumnus. 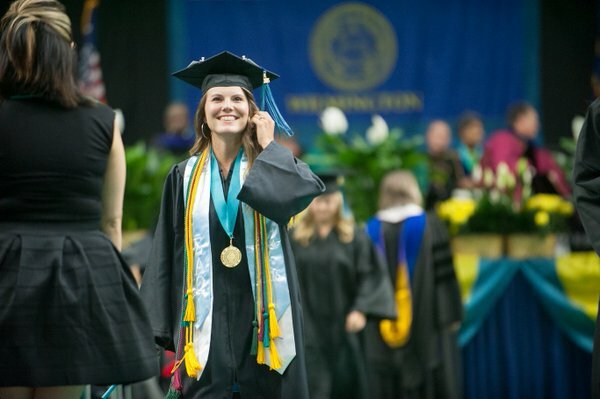 The career patterns of UNCW graduates will be reported to help students and faculty learn about career and graduate/professional school opportunities. By completing this survey, you understand that your survey answers and academic program information will only be included in aggregate data, with no personally identifiable information. Nextio: Free resource to explore where UNCW alumni work after graduation and beyond.